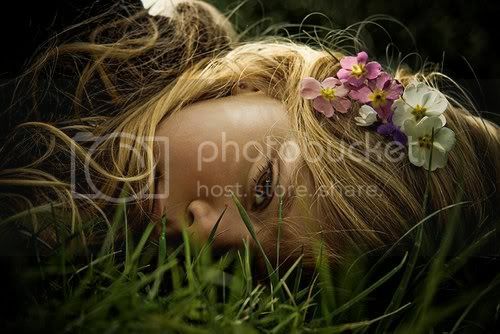 FLOWERS IN YOUR HAIR - FLOWERS EVERYWHERE!! Who woke up to birds chirping this morning? I did! The sun is shining and it actually feels like Spring is in the air. What comes to mind when I think of Spring - FLOWERS! 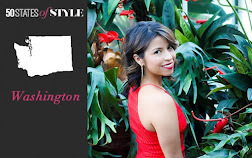 Its not just for bouquets or flirty spring dresses, here are some other ways to wear them. The classic look of flowers in the hair will never go out of style. House of Telsa does take it up a notch. The layered look combined with color and sequins give the classic look a modern feel. I don't know about you, but if I am not wearing a ring, I feel a little naked. 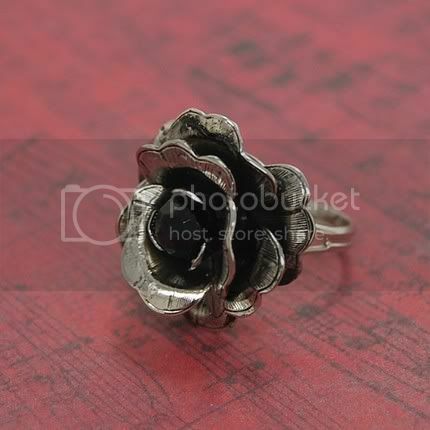 Swaydehead's antique silver ring rose, would be the perfect spring staple. It would literally go with everything. These are my flower patterned wedges. They haven't seen the light of day since last summer. What is so perfect about these is that the pattern is so outrageous that I could wear them with everything. If you look closely you can see that each shoe is different, the patterns don't match up exactly. I love the unexpected.. just like Seattle weather. LOL! Moral to the story: Flowers can bring a sense of playfulness to your look. I know we can get caught up in day to day things.... Life is hetic and consuming - so have a little fun with flowers mixed into your outfit. Great post! 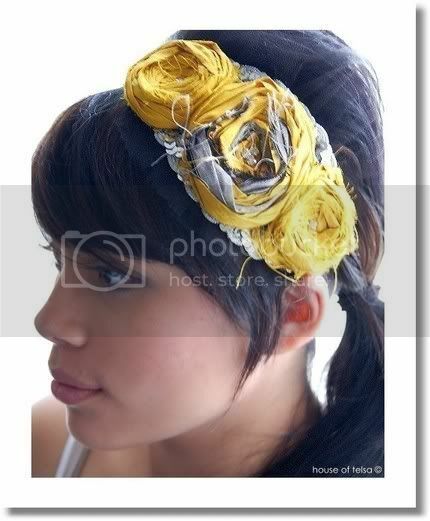 The flowered headband is especially pretty. Ah, thanks for posting! It's been sunny here as well and with all the cherry blossom trees around, I find that I'm instantly in a good mood :) I love the flower in the hair look, though my hair somehow doesn't allow it. Very cute wedges! 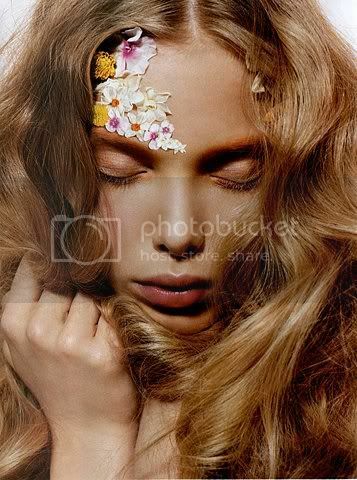 I love the idea of wearing flowers in the hair. So girlie and definitively Spring! Incidentally, another floral look that I love is the lei, which in Hawaii is actually commonplace. People buy them to give to visitors. Isn't that cool? That headband is gooooorgeous! So Summer-y! well, for spring and summer, i'm really digging floral prints, flower brooches and things like that!